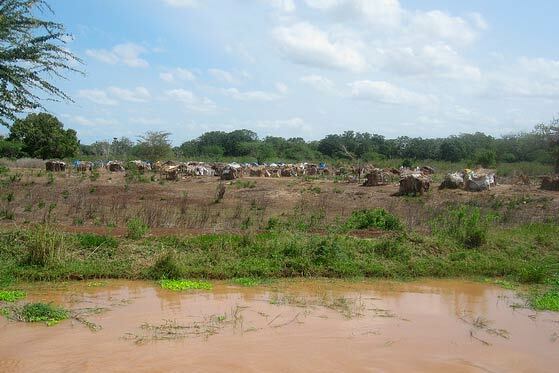 In both the Iljara sub-County and Tana River County, degradation of habitats and crowding of people and animals is promoting closer interactions between RVF hosts (livestock and wildlife) and vectors (mosquitos). This increases the risk of disease transmission. People in these areas are also being forced to move more frequently and widely, or to adopt a sedentary lifestyle in urban settings, to achieve their livelihood goals. This scenario envisages that agriculture will continue being the main economic activity in the region, with agricultural practices remaining largely unchanged. 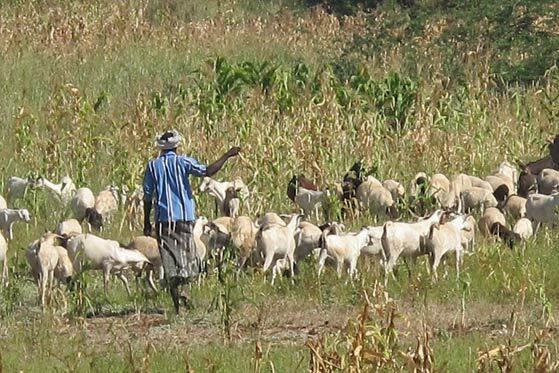 The area under irrigation would gradually increase and livestock production would intensify, especially of shoats (Kenyan sheep and goats). 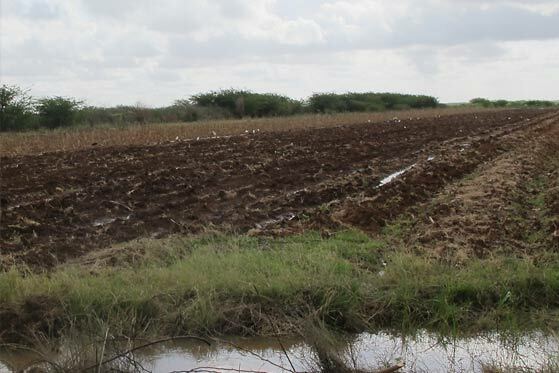 People living in riverine vegetation would engage in small-scale irrigation and the government would open up irrigation schemes, although limited in size and number. Destruction of natural habitats would continue as people engage in short-term, unsustainable livelihoods. The number of people would increase, as would the bird, primate and rat populations. An increase in insect populations too would affect the rate of vector-borne diseases, especially the arboviruses such as RVF and malaria. Poor people would be the most affected. The risk of conflicts could increase due to the growing pressure for limited water and land access. This scenario envisages an increased incidence of droughts, as well as reduced periods between El Niño events, with more drought, rain and flooding. The average temperature would be higher. 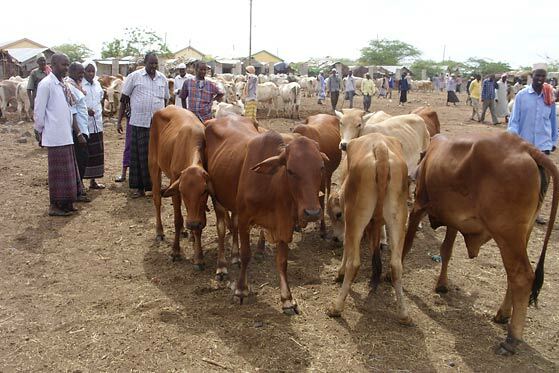 With more extreme events and resulting loss of crops and livelihoods, more people and animals would be displaced. Large population movements could be seen, along with conflicts over land. Forest cover would be reduced, with a subsequent loss of biodiversity. However, the populations of some species, such as camels and goats, would increase. This scenario could trigger the emergence of new diseases, more mortality as well as morbidity, and a decrease in quality of life. RVF outbreaks have been shown often to coincide with extreme climatic conditions. Lower income groups would be most, though not exclusively, affected. This scenario envisages greater mechanisation and more efficient farms, leading to a need for more irrigation. The use of fertilisers would go up, and with a higher use of pesticides so would insecticide resistance. Commercial farming would increase and more urban centres follow, creating integration between crop-livestock farming and business models. As the market grows there would be more employment opportunities. This would lead to a better quality of life and nutrition for people. However, water quality would go down due to increased irrigation and contamination from plantations. Water resource availability would also go down for sectors other than agriculture. There would be a reduction of land cover, or at least a changed landscape. Species reduction would be quick and drastic, including a reduced number of disease vectors (e.g. mosquitos). However, a pattern of in-migration could result in new species being introduced. This scenario envisages targeted disease interventions, more efficient use of labs and more resources for joint disease surveillance and response, coupled with timely vector control. Overall, it would lead to reduced human health impacts and general improvements in wellbeing. Early detection of zoonotic diseases would be improved and better disease diagnosis would include differential diagnoses, as well as better detection and management of fevers. This would further lower the burden of disease. However, there would be a risk of possible neglect of other endemic animal diseases. The awareness of the value of biodiversity would increase, as well as of the impact vector control efforts might have on biodiversity. Other species could re-colonise when some vectors are affected, leading to over-population of animals. In Kenya, one shock was identified. This would be the fluctuation of global food prices, affecting local food production and prices. Such a shock would impact local policies and also people’s livelihoods. One surprise was identified: the discovery of valuable resources, e.g. oil or minerals. This is plausible as these are now increasingly being found in arid and semi-arid regions. The impact of this is not well understood. Locals could view the resources as their own, rather than national, leading to conflict and a shift in livelihood priorities. Resulting population displacements and immigration would bring people into contact with wildlife, seeing the importation of new diseases and vectors. Communicable diseases could also increase as a result of informal settlements, with poor sanitation and hygiene, and crowding. It could also lead to disruption of socio-cultural networks and norms, leading to increased vulnerability and less resilience to disease. There could be improved infrastructure, but probably at the cost of severe environmental impacts. The team in Kenya identified poverty, intensified agriculture, land-use change and biodiversity loss as the major drivers within this system. They also added poor governance as an important driver affecting disease risks. Move the cursor over each driver, and see how these interact. To compare with another country go to the interacting drivers page. Dr Bernard Bett, ILRI (country lead); Dr Sally Bukachi, University of Nairobi; Linda Isuyi, University of Hohenheim; Dr Johanna Lindahl, ILRI; Dr Deborah Mbotha, Free University Berlin; Dr Said Mohammed, ILRI; Simon Ndungu Nyokabi, University of Hohenheim; Dr Rosemary Sang, KEMRI.